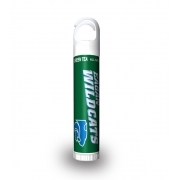 Vanilla mint chip lip balm soothes your lips and invigorates your senses with its cool, minty and delicious flavors. The lip stays fresh and silky, while the vanilla mint flavor continues to boost your spirits and keeps you smiling. 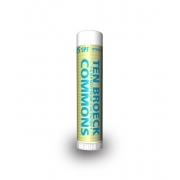 This lip balm is formulated with natural beeswax, stevia, and natural skin enrichment components. As beeswax is a natural moisturizer, which seals the moisture over lips and pumps peels of energy into the dry cells. Health Quotient – No SLS. No petrolatum. No Paraben. No harmful chemicals used at any stage of formulation. FDA approved. Made in USA. Cruelty free. 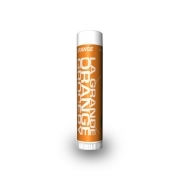 Directions – Dab the vanilla mint lip balm over lips using fingers or rub it generously over lips by sliding the tube. 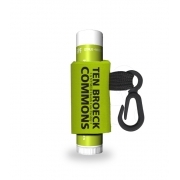 This lip balm is no substitute for moisturizer. 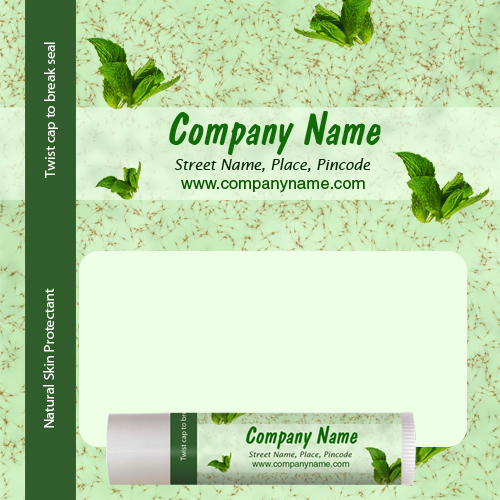 Gifting Favors- Restaurants, pizzerias, hotels, beach accommodations, theme parks, luxury lifestyle stores are some of the advertisers, who can gain by employing customized vanilla mint chip lip balm for promotions. It makes a great giveaway during community picnics, fancy dress competitions, tradeshows or other marketing events. The quality was great and our logo looks exactly like it did on the preview image. 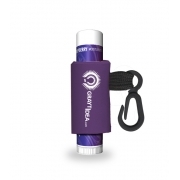 Our patients love the product and we are excited that it has our logo on it. Awesome! Everyone loves the flavor! And the shape and size of the skinny tube is a hot too! Impeccable customer service. It was like dealing with a small town little shop, I emailed back and forth with the same customer service rep and in no time at all my lip balms were here and perfect!